Columbus’s only team of note is the Buckeyes (sorry for all that thought it was going to be Blue Jackets, and really sorry for all that thought it was going to be the Crew). Also, Ohio State University feels that they are the only state college worthy of note in Ohio. We beg to differ. Let the hate begin. The Buckeyes are annually one of the most overrated, overhyped, and over loved teams by the pollsters and the media. Ohio State gets some of the best high school talent in the nation. However, they never seem to have enough speed or athleticism to handle teams from the other BCS conferences. Some might blame the coach for not getting the most out of some of the best talent in the nation, but Tressel seems to get a free pass. I think it’s because of the sweater vest. Ohio State can easily beat up on the other slower (somehow) Big 11 teams year in and year out. This helps them secure BCS and National Championship bids. No wonder the BIG 11 always votes no to a playoff, when they make it look so easy to get to bowl games. 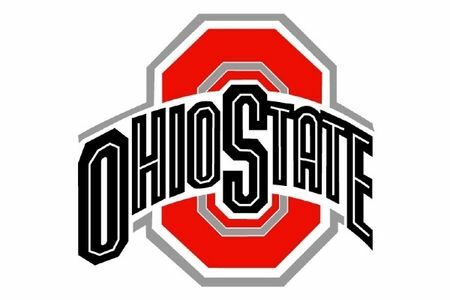 Ohio State is located in Columbus, Ohio. Yet, Christopher Columbus did not discover it. If he did he would have turned right around and would have never spoken of the new world. Seriously, if one more student of former athlete calls the school The Ohio State University I might explode. There is nothing more annoying then when you are trying to get a beer during the player introductions and you can hear the athlete yell “THE” from the other room but nothing else. They seem a little too pompous for a school that is 0 for their last 3 in championships for football and basketball. One of the biggest OSU supports seems to be the one and only Kirk Herbstreit. Being a former Buckeye quarterback his love for OSU is only matched by is love for USC. Try to be a little more neutral for those two teams there Kirk. Jim Tressel here are a couple math truths for you, 38 > 24 and 41 > 14. Also, there is only one man who can rock a sweater vest well and its not you Jim. You are currently browsing the archives for the Sweater Vests category.